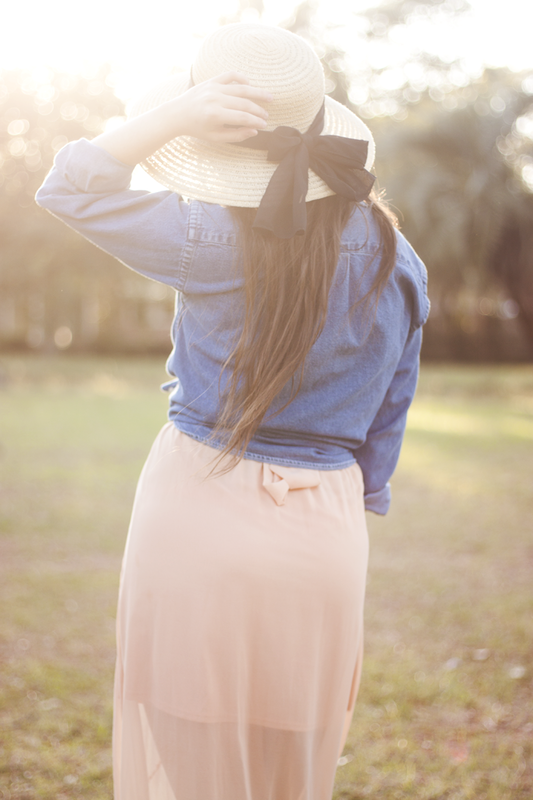 Wearing: Thrifted Ralph Lauren shirt, Marshall's dress, Thrifted hat, Urban Outfitters sandals. 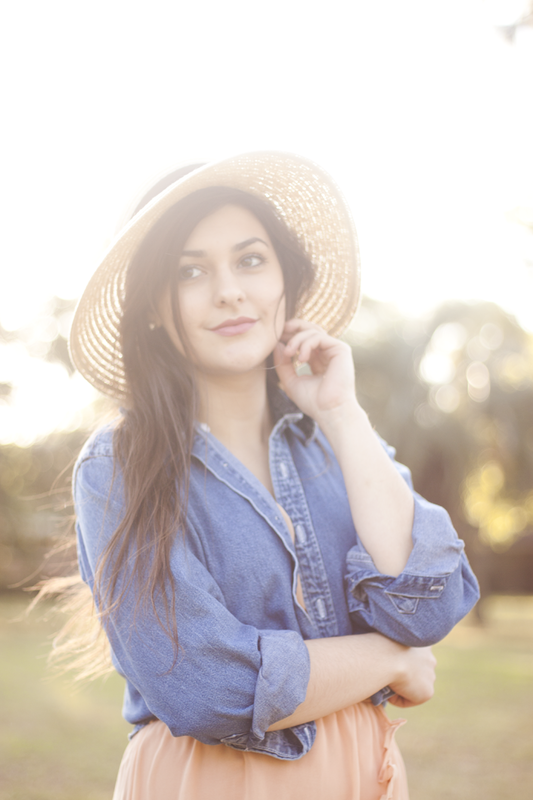 With spring's arrival, I'm in love with everything light and airy. Most specifically, this pale pink sheer dress. The ruffle details are so pretty to me, and it's definitely my favorite maxi dress that I have in my closet. Again, I layered a denim button-up over this dress as well, because the dress doesn't have sleeves and it was windy outside, and unlike a cardigan, I felt this gave it a rustic look which I love! 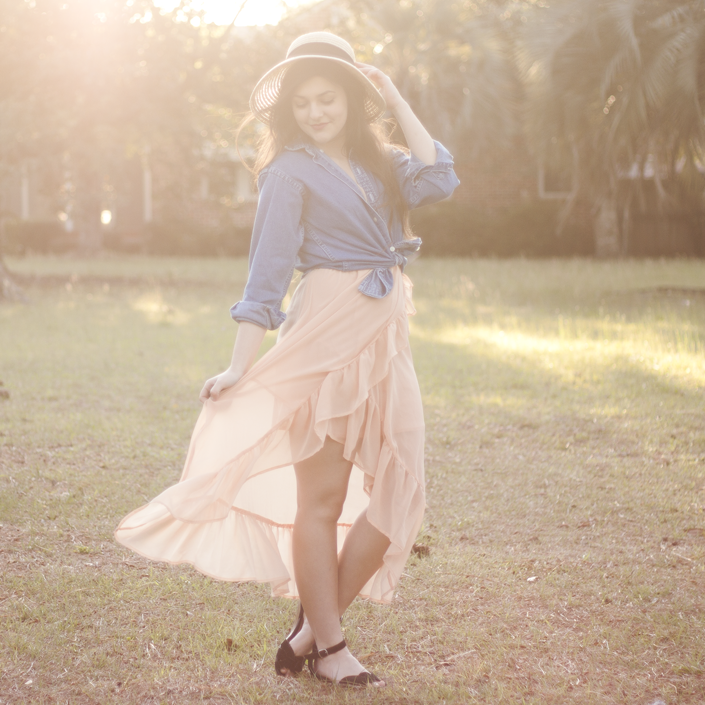 That skirt is so pretty and these photos are so dreamy! Carly your truly such a beauty! What a beautiful outfit! In love! I love this! gosh,you have so many cute hats,I just die of jealousy over here. 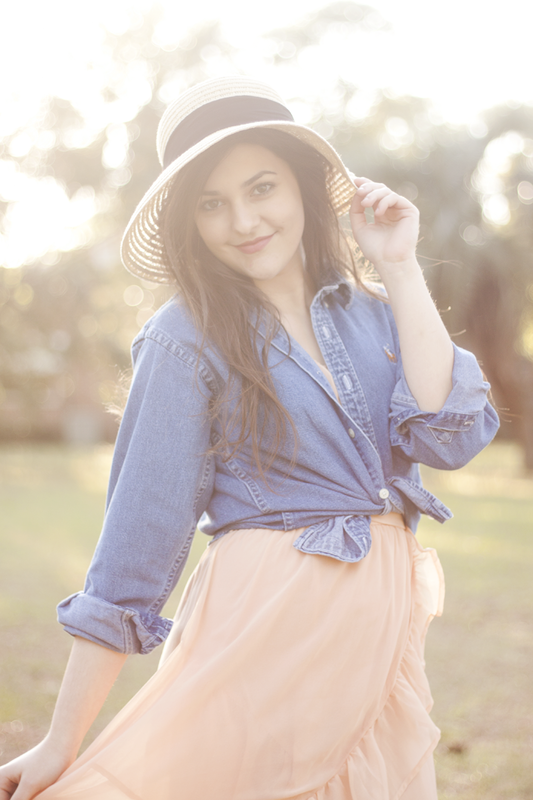 Such a pretty spring look with this pink dress. 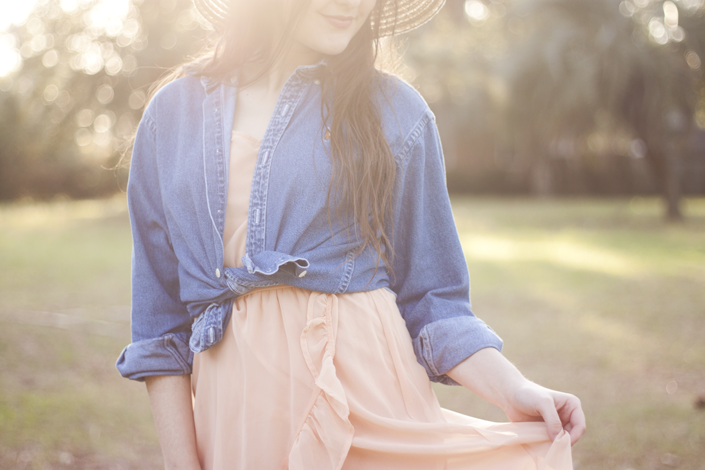 I really love the mix of the more rugged denim top with the flowy dress. Definitely a great combination! One thing I love about your style is your love of hats, I'm glad I'm not the only person that wears a hat with almost everything.